Need ideas for delicious stress-free dinners? Want minimal washing up at the end? Keen to use your slow cooker to set and forget? 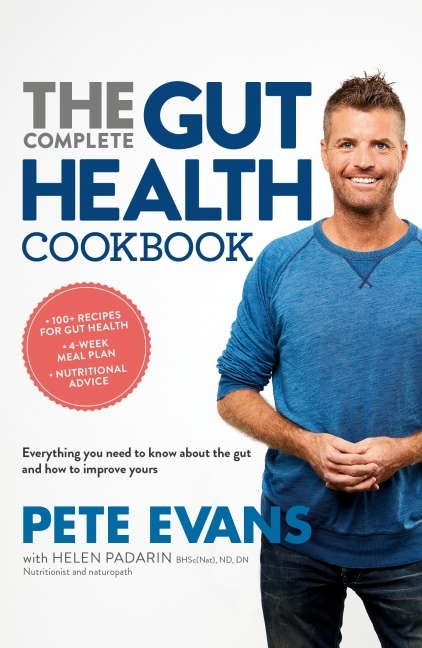 Pete Evans has you covered with 100 simple, warming and flavoursome meals in One Pot Favourites. Inside you'll find stews, roasts, braises, curries, stir-fries and even Pete's favourite meatloaf recipe - all of which can be prepared in just one pot (or wok!). Pete draws inspiration from around the globe as well as closer to home, from Vietnamese beef curry and Moroccan-spiced leg of lamb to chicken tikka masala and herb-crusted fish with native greens. The ingredients in these approachable paleo recipes will make you feel great - fresh vegetables, sustainable seafood, free-range chicken and meat, healthy fats, nuts, seeds and spices. And you won't find any dairy, legumes, grains or refined sugar. There are also extra instructions for using your slow cooker or pressure cooker for many of the recipes, so you can either pop dinner on before you leave for work or whip up a meal in record time in your pressure cooker when you get home. You'll be amazed at the kind of meals you can make with just one cooking vessel. So grab your pot and some utensils and start whipping up flavour-packed all-in-one meals for your family every night of the week!